To meet diverse requirements of our prestigious clients, we are engaged in manufacturing and supplying an excellent range of Heat Transfer Fusing Press that is provided in diverse specifications.Offered by us, is a comprehensive range of Heat Transfer Fusing Press. The offered product is fabricated with international quality material, procured from relevant and certified agents of the market. Moreover, the offered range is developed employing high tech machinery and methodology. The offered product is frequently verified at defined parameters to ensure flawless functioning of the product. Transfer printing machines. for lanyard printing. 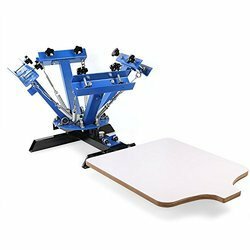 Ours is a quality conscious organization engaged in manufacturing and supplying superior range of Screen Printing Equipment. 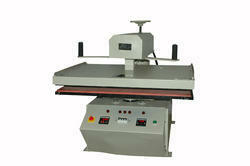 These high-grade machines are generally used for the peripheral printing applications. These are manufactured using high-grade factor inputs that are procured from reliable vendors of the market.